Let the firefighters on your list know just how much you appreciate their dedication to protecting your community. The shield of pride fireman ornament is a great gift idea for individual firefighters, and dropping one off for the firehouse Christmas tree will be appreciated too. We'll hand paint your personal message of gratitude on the ornament to enhance the encouragement it delivers. 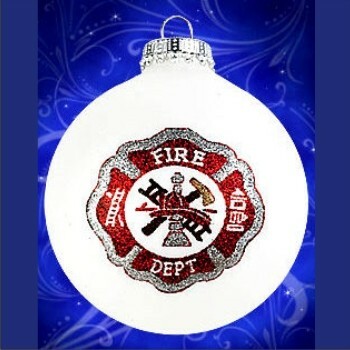 The shield of pride fireman glass personalized Christmas ornament is made from high-quality materials and is delivered in a custom gift box. In our collection, you'll find other fireman and police ornaments personalized for all the public servants you want to honor this season. For our Brother Nov 8, 2014 Derline K.